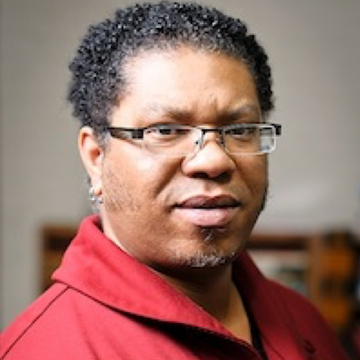 Donte (D. Nebi) Hilliard has notable experience as an interdisciplinary educator, trainer, cultural worker, activist, researcher, and clergy person. He brings with him more than 10 years of educational and administrative leadership in Diversity, Inclusion & Social Justice education/training. His areas of specialty include Social & Racial Justice Movement History, Community Organizing and studying the complex relationship between identity, culture and power. He is specifically interested in the intersection of social movements, philanthropy, the non-profit sector and public policy. In the Fall of 2015, Donte was admitted into in Leadership Institute of the Center for American Progress. The Leadership Institute identifies, equips, and advances a new generation of leaders from diverse backgrounds and communities to assume responsible roles in the development and implementation of progressive public policies. Currently, Donte serves as the Director of Mission Impact for the YWCA USA where he is charged to provide strategic thought leadership and help to build a sustainable racial justice infrastructure for the national organization. He holds a BA in Psychology from The University of Arkansas at Pine Bluff, a MA in African American Studies from The Ohio State University, and a MA in Religious Studies from Chicago Theological Seminary. I am the director of Mission Impact at the national office of YWCA, better known as YWCA USA. As director of Mission Impact, I work on strategic infrastructure building. Our organization is in the second phase of reorganization. We just rolled out a new strategic framework in June 2015 that we call the Mission Impact Framework. The framework identifies three signature platforms and three signature outcomes. The current outcomes are: to increase the equal opportunities and equal protections of people of color; to increase economic opportunities of women and girls of color; and to improve the health and safety of women and girls of color. I did a lot of work on that. I also articulated a theory of change for our organization that highlights our transformation effort by combining direct services, issue education, and public policy advocacy. One of the most exciting things about the new Mission Impact Framework is that we have embedded racial justice in that framework and specifically we’ve chosen to make two of our three signature outcomes related to women and girls of color, and that’s really exciting. What led you to work at the YWCA? I spent my entire career in higher education. Before working at the YWCA, I worked at the University of Wisconsin Madison. I was there for about five years and I was pretty sure it was time to move on and do something different and so I started looking. I wanted to make more of an institutional impact. In student affairs, which is where I spent most of my career, I had a great experience working with students and rebuilding my department infrastructure. At the University of Wisconsin, we did some really great work revamping and revitalizing the multicultural student center there, but I wanted to make more of an institutional impact. I started looking at institutions that really afforded me that opportunity to make institutional change that would make a difference in the lives of people of color on a larger scale. How does your CTS education impact your current work? I certainly believe that seminary prepared me for my job at University of Wisconsin Madison, as both Assistant Dean of Students and Director of the Multicultural Student Center, and my current work. I have chosen to work in secular institutions but the practice of ministry is still the same. You work with people, walk with people where they are—not because you have some goal of making them what you want them to be, but because you’re going to be a part of their journey and if they are open and interested, you can offer them your assistance along their journey. I’ve always seen my work as ministry. When I came to seminary I thought I might return to congregational work, but as I got closer to the end of the program, I was surer than ever that the work that I do as an educator and administrator is ministry and it’s important. By the time I was getting close to being finished, I knew I was going to go back to higher education and do that work. Do you have a past in clergy work? I was a child minister. I have been in ministry since I was 15 years old. I retired from preaching when I was 21. What advice would you give current CTS students and graduating students? One of the things I would want to encourage—and sometimes it’s at odds with the goal of seminary education—I would want to encourage people to consider jobs in secular institutions that are not necessarily deemed ministerial positions. We live in a very broken world full of a lot of oppressed people, we live in a world with broken systems, and we need thoughtful and reflective people in secular institutions…sometimes I think even more so than in faith communities! Although I’m not a pastor of a congregation, ministerial training matters when my student shows up at my office door because he’s just been diagnosed with a chronic illness. It matters that I’ve been trained to think about pastoral ministry and pastoral care and how to be present with people. That really matters and, particularly in higher education and in student affairs work, that’s pretty much what you do, you are everything to students who are away from home, outside of the classroom. All the things they deal with in their lives, they need really thoughtful and reflective people to be with them. I would encourage people to consider doing work in secular institutions as well as inside of our faith communities. There are some really great people who could benefit from that. What is your most significant CTS memory? When I was still an MDiv student, I was in my constructive theology class while I was taking this class with Dr. Butler, and we were reading a book by a religious studies scholar named Anthony B. Pinn called Terror and Triumph: The Nature of Black Religion. Anthony Pinn is a humanist religious studies scholar, and his concept of humanist theology and humanist religious orientation towards Black tradition and what Black religion is just sort of rocked my world, because I was agreeing with everything he was saying, but he was saying things I had dared not to say aloud. All of the sudden I was having a very difficult time finishing my constructive theology project because it was at that point that I realized that I was a humanist and that a lot of the constructive project wasn’t working with that because I was trying to put square pegs into round holes; I was trying to use a very traditional Black Christian theological framework and it didn’t work for me because I had really shifted in my own orientation, but didn’t have language for it. That book changed my life. It gave me new language for my own journey. That book is what sent me back towards higher education. The work that I do is ministry, whether or not I wear a vestment or if people call me Reverend. Pinn’s theory of Black religion is that at the end of the day, the purpose of Black religion is to help people be as fully human as they can in the world in which we live. It was my favorite memory in some ways because it was discombobulating; it pulled a rug from under me. I was almost out the door and that book just rocked my world and changed my life. It really sent me on this path of doing very intentional social justice work within secular institutions, looking to transform those institutions for the better. I owe it all to that experience in Dr. Butler’s class and for him introducing Anthony Pinn. It changed my life. What movie should every CTS student see? There are two films that really transformed me greatly. One of them is a film called Sankofa by filmmaker Haile Gerima, which is a film about this modern African American woman who gets snatched back in time and has to relive the experience of one of her ancestors, who was kidnapped, trafficked across the Atlantic Ocean and sold into chattel slavery in the West. It is one of the most transforming and powerful films I have seen in my life. It gets to the deep truth around race and religion, particularly for African Americans in this world. If anyone is going to be doing ministry with African American, there is a very specific context to that. It’s a great film that brings forward that entire context in very complicated, yet accessible ways. The other film is an adaptation of a play by Harvey Fierstein called Torch Song Trilogy. I think I saw it when I was 12 or 13, and that film changed my life. At that time I had not come into the truth of my gay identity when I saw that film, but what I was sure of was if I ever discovered that to be my truth, I would have to share my truth, particularly with the people closest to me. There’s a great scene between the main character and his mother that has him holding onto certain truths about himself and what the impact of not sharing your truth with the people closest to you, what it can do, and the damage it can cause to your relationships. That film, that scene in particular between Harvey Fierstein and Anne Bancroft, rocked my world, it changed my life.